Dr. Comfort Manyame is a graduate of Texas A&M University, College Station Texas (PhD, 2006). He is currently on staff at Mid-South Synergy Electric Coop in Texas where he serves as the Senior Manager for Research & Technical Strategy. Dr. 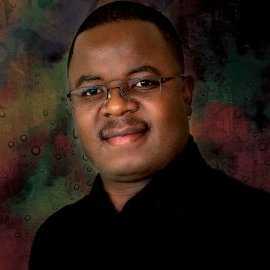 Comfort Manyame is a graduate of Texas A&M University, College Station Texas (PhD, 2006). He is currently on staff at Mid-South Synergy Electric Coop in Texas where he serves as the Senior Manager for Research & Technical Strategy. He has 10 years of utility experience where he has served in the roles of GIS, vegetation management, data analytics, and planning. He is on the National Rural Electric Cooperatives Association (NRECA) Cooperative Research Network Member Advisory Group for Analytics, Resilience and Reliability.